As you know, I am constantly developing recipes and finding new ways to make my favorite dishes; and I’m always on the look-out for healthier gluten-free alternatives. I came across a healthier gluten-free sweetener called ZenSweet and had to take a moment to tell you about it. First of all, it measures and tastes just like sugar. Most of the time 1 cup of ZenSweet will replace 1 cup of sugar in a recipe and allow you to re-create the recipe with a healthier twist. I am all about health inclined companies and really enjoy their true stories of how it all began. In the year 2012, the founders Corey Winer & Michelle Francis had a mission to bring delicious healthy food to everyone. After “multiple sensitivities” was the diagnosis for Michelle and they both knew they were not feeling as healthy as they should, they made a drastic change and cut out sugar, ate anti-inflammatory foods and started to feel incredibly good. They created their own recipes and ZenSweet as a healthy alternative, even for diabetics. They both recognized the importance of a low glycemic diet, yet they weren’t finding what they needed to accomplish their own health goals and sincere desire to help others, which resulted in the evolution of their company: Habit Foods and The ZenSweet Company. The ingredients in ZenSweet are nature-provided which means it is well digested and tolerated by most. Even with my sensitive stomach, which is something I constantly have to watch, I tolerated ZenSweet and loved the flavor. On their website it states this about any side effects: “The ingredients of ZenSweet, erythritol & polydextrose are completely safe and efficiently and effectively digested in the human body. Erythritol is a very small molecule and 90 percent is absorbed in the small intestine and for the most part excreted unchanged in the urine. The quality of easy digestion makes erythritol unique among the sugar alcohols. Polydextrose digests like other soluble fibers and can lead to a healthier digestive tract. Since polydextrose is not digested in the upper GI tract, and partially ferments in the lower GI tract, it promotes healthy intestinal bacteria in much the same way as natural fibers. If you feel mild digestive activity, it is your body processing healthy fiber”. ZenSweet is completely natural and zero glycemic, is low calorie and truly is a healthy alternative. I also checked into any substitution for brown sugar and how that works and found that I can add 1 tsp of molasses to a cup of ZenSweet and it works pretty much the same. I did taste a hint of the molasses, yet it all depends on the recipe in the end. 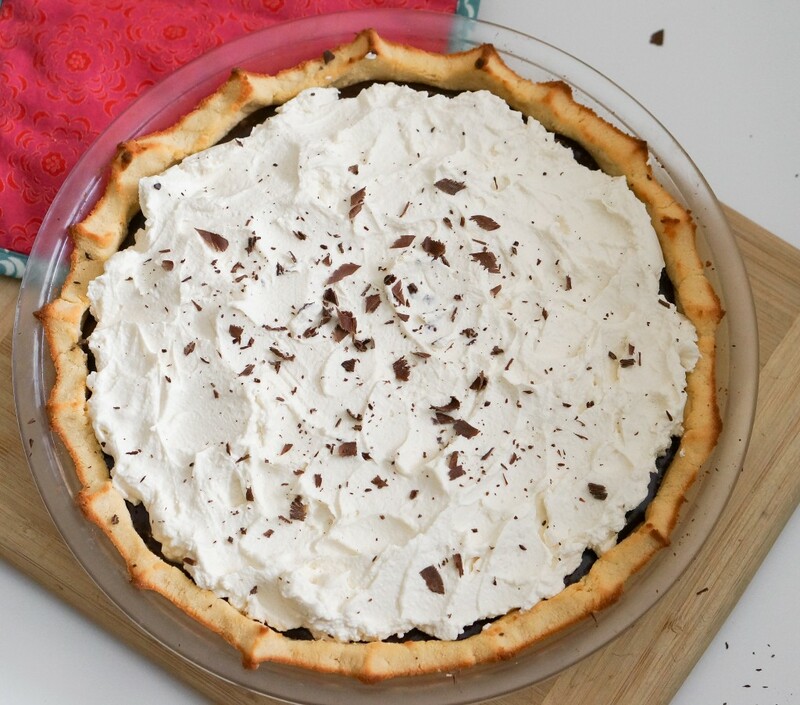 I am still testing it out weekly in new recipes, including a delicious gluten-free french silk pie below. I will be linking new recipes to this ZenSweet review and they will be published on my blog and weekly RSS feed if you have signed up (sign up at the top left box located at the top of this page). As mentioned above, I’m really enjoying testing out ZenSweet in my gluten-free recipes to make them healthier and easier to digest. The lack of sugar and spiked blood sugar is the key behind Zensweet as an alternative sweetener. I highly recommend ZenSweet. I think you will really enjoy it if you give it a try. It could help both you and your friends and family. NOTE: The below recipe was contributed by Michelle Francis of The ZenSweet Company. Please email her with any questions about ZenSweet (zensweet.com) or this recipe to ZenSweetCo@gmail.com. This delicious gluten-free, grain-free recipe includes several steps and seems like it would be time consuming, but if you use a blender as mentioned in the recipe, it is actually pretty quick to make. You’ll want to start the pie in the morning or afternoon or even the day before because it takes at least 6 hours to set. It is great for parties or served alongside coffee or tea, or even at family get togethers (kids love it!). The crust is not as crunchy as a traditional wheat pie crust but has a nice mild toasted coconut flavor. In the end it looks quite beautiful, like something you would buy at a pie shop, but it is much more pure and healthy. Over low heat melt the oil or butter. In a medium bowl, beat together the eggs, salt and ZenSweet. Mix in the melted oil or butter. Add the coconut flour and stir well until a dough like consistency forms. Gather the dough into a ball and pat into an 8- or 9-inch greased pie pan. Bake for 10-11 minutes or until lightly brown on the edges. Set out to cool before filling. Make the filling and topping. Gently warm the coconut milk over medium heat and let it come to a simmer but not a boil. In a Vitamix or a blender, crack your eggs and add the chopped chocolate, ZenSweet and vanilla extract. Blend on high until all ingredients are thoroughly chopped and combined. On low to medium speed gradually add the warmed coconut milk to your blender in batches. You need to pour the warmed coconut milk in about 6-8 separate turns, running the blender the whole time. Be careful not to turn the blender up to high as you don’t want the hot mixture to splash out. Once the mixture is thoroughly blended, pour into the cooled pie crust and refrigerate for 6-8 hours until firm. When the chocolate filling is firm, top with fresh whipped cream or the whipped topping recipe below. With a hand mixer whip your cream and agave until stiff peaks form. If using coconut cream, refrigerate the can overnight. Scrap out the hardened coconut cream from the top of the can. With a hand mixer whip the coconut cream and agave until stiff peaks form. After the filled pie chills for about 6-8 hours, use the cream to top your pie. You can shave some dark chocolate on top and serve with berries or fruit if you’d like.